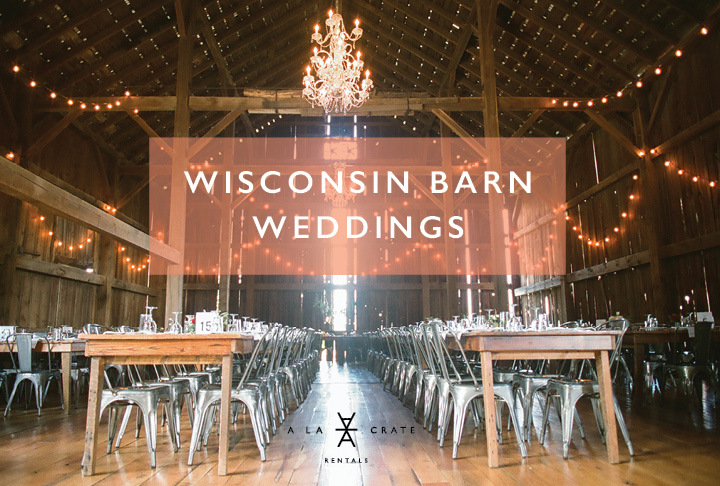 Oh Wisconsin, you and your barn weddings have us impressed every time. 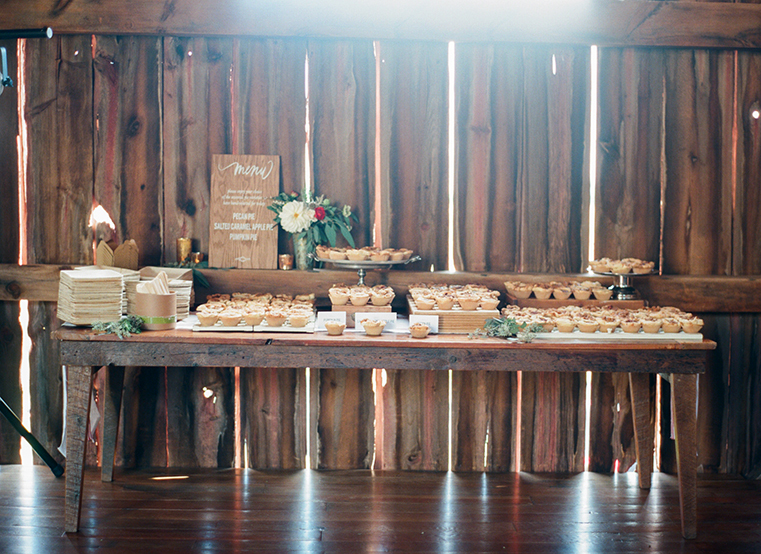 Whether your intention is to make it black tie or blue jean we know that a barn wedding can be made to fit your vision. Adding in a few A La Crate rentals you can keep it casual, keep it cool or even make it beyond elegant. 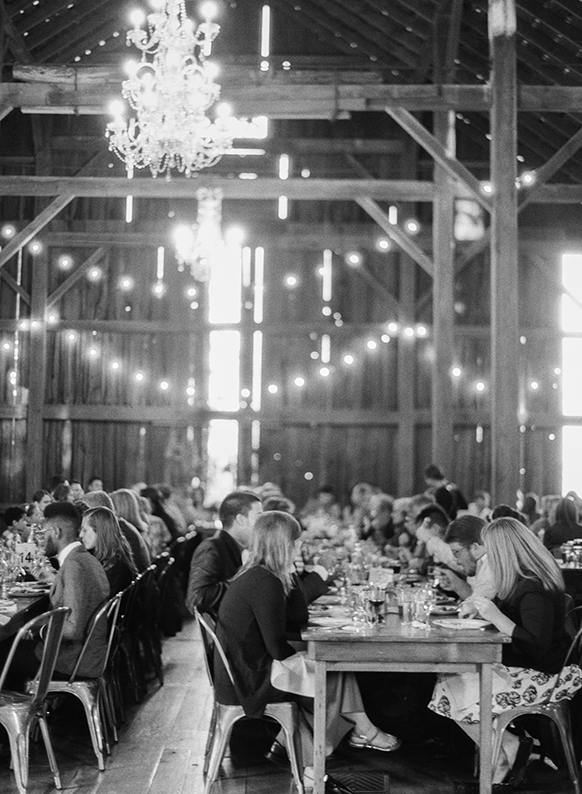 Truthfully a barn wedding can leave you beaming! We love seeing our harvest tables in their natural habitat. We know you will too! 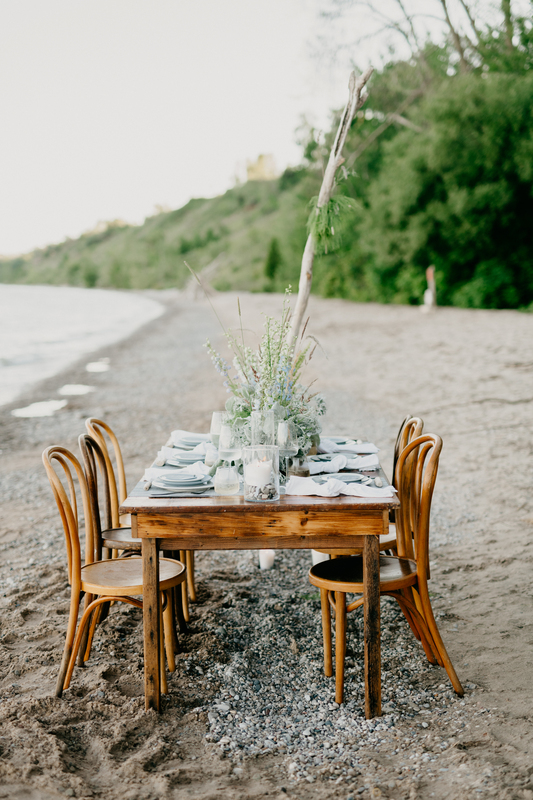 Whether to make an impact as a singular sweetheart table, a few specialty tables, head table or to seat all your family and friends, the harvest tables are a great fit. We highly recommend inquiring early for table availability as they can be snatched up quickly. The harvest tables are made from locally sourced WI barn wood. We’ve tested their durability at low key events to the fanciest of soirees. They provide another well worn and time honored tradition to the event space. Your guests can learn more about each other and trade stories all over this wood surface, firmly rooted in the WI tradition. The 8′ version comfortably seats 8-10 while our single 5′ version makes for a great sweetheart or a special cake/dessert/doughnut setup. Both feature durable finished wood surfaces that need no linens. Lots of wood and a whole lot of shine. 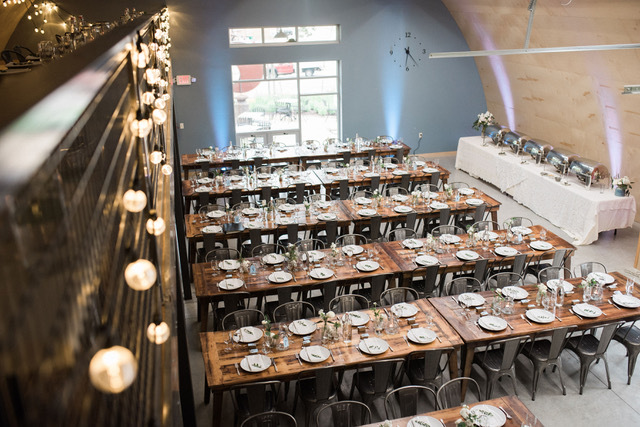 We love the contrast of the gunmetal chairs and the cafe bulbs with the long rows of harvest tables at this reception at Over the Vines. They compliment each other quite nicely. Does your barn have a ceiling with great heights? 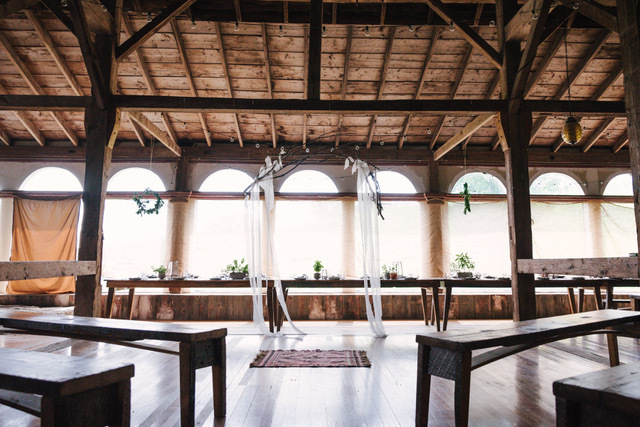 We encourage you to look up and think outside the box, get creative and make a unique statement with rentals or something that the venue has on hand. 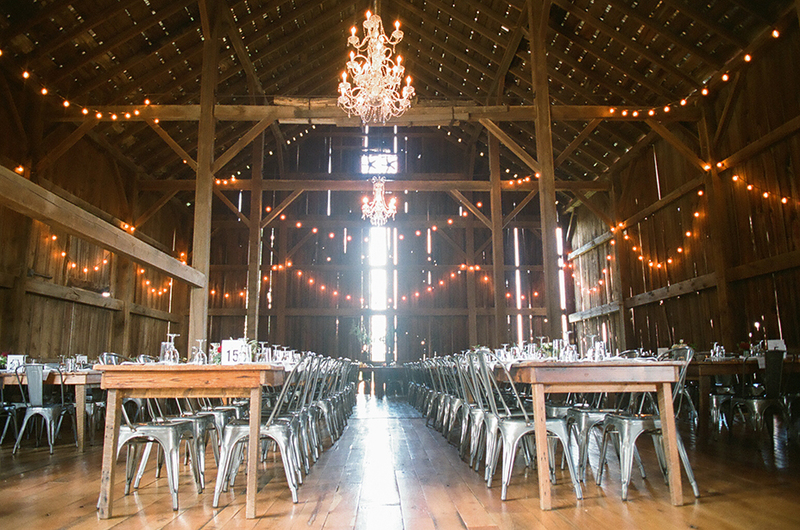 This perfect pairing of Century Barn architecture, our chandelier rental and the creative work of Cherry Blossom Events has us all thinking about fun ways to add flair. Hooray for draping! Another thing to consider, if your space has huge ceilings or even a lofted space, can you make that area do double duty for you? The loft space can be a perfect hidden prep spot or a cocktail hour locale while decor is added or photos are taken. 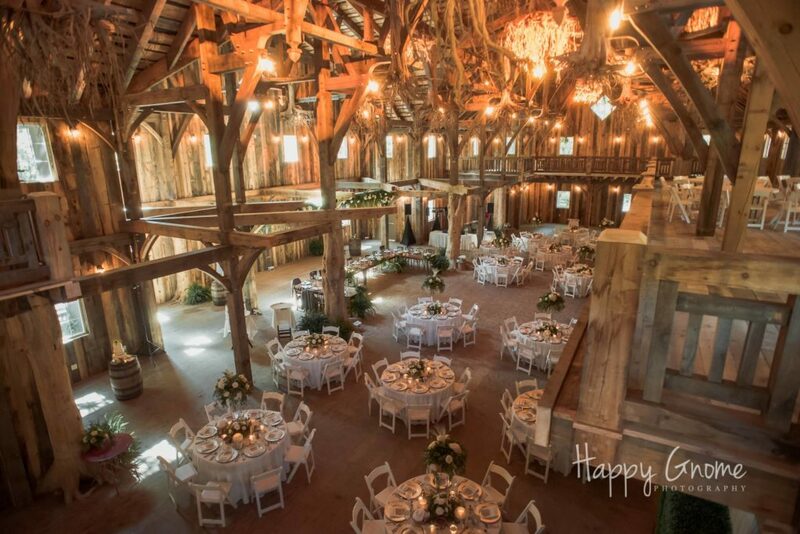 This image at the Swan Barn Door also shows how the Happy Gnome took full advantage of the upper level at Molly and Zach’s wedding for super cool vantage point of the reception layout. Take existing drapery and lighting into consideration and you have a great couple of threads to weave into your overall design. 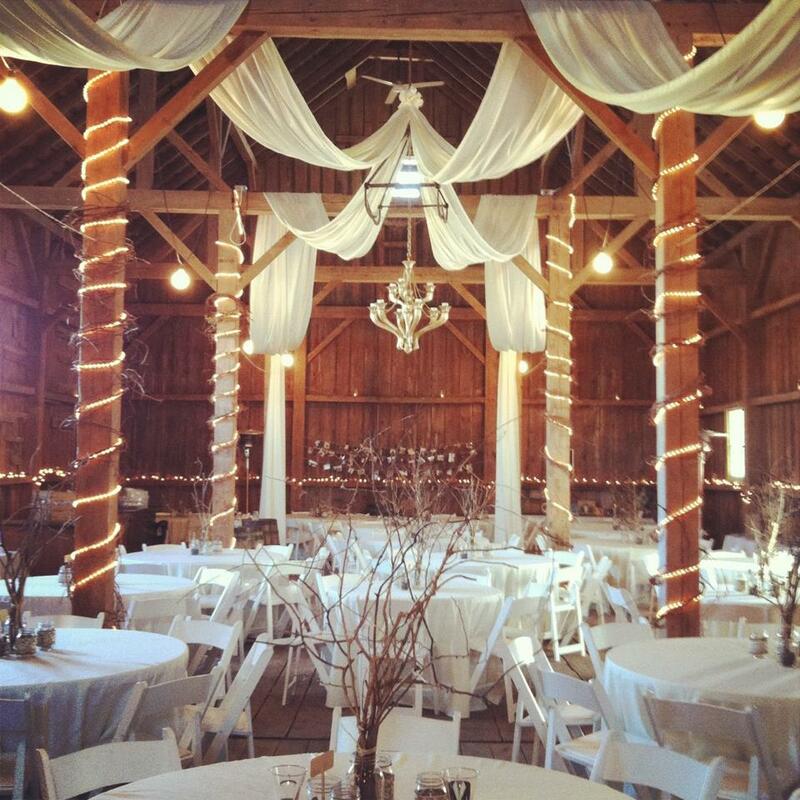 Or if you are utilizing a family residence or private barn venue, get creative with the use of space. I love the incorporation of the head table as a backdrop for the ceremony in the last images by Adriana T Photography. 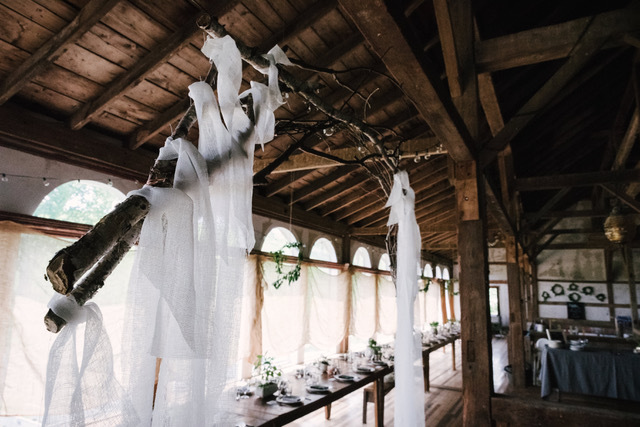 The simplicity of the long row of tables in front of the softly back lit windows is made by the addition of white drapery and greenery. It doesn’t take much, but the right pieces can make it spectacular! Backyard reception with all the Fun: tattoos, fairy houses & more! 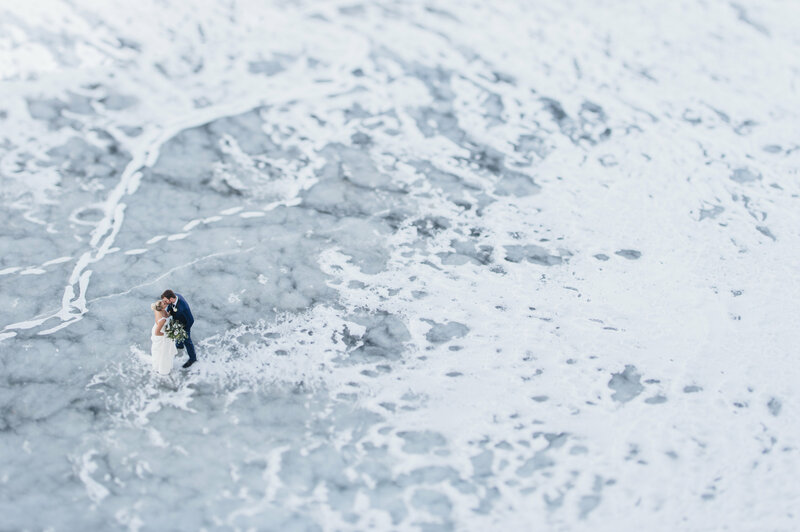 ©2018 A LA CRATE RENTALS, MADISON, WISCONSIN. ALL RIGHTS RESERVED.